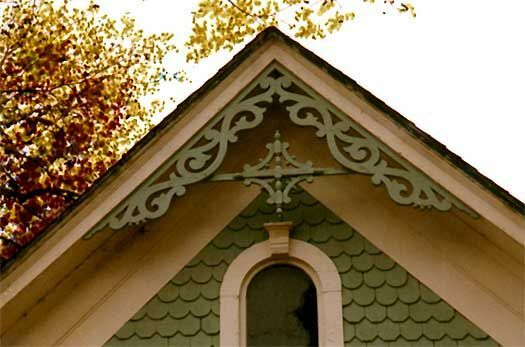 In part one of our Historic Curb Appeal series, we’ll be taking a closer look at the exterior details that define the Victorian style and offer a few recommendations from our design team when deciding what to add or change on your Victorian. This classic “painted lady” Victorian in the Mississippi neighborhood was restored by Arciform following a house fire. Bold color, intriguing ornamentation on the porch columns and diverse and intricate siding patterns all typify the Victorian “painted lady” style. 1. Think in Verticals. Victorian homes are usually built with a strong vertical orientation, with tall narrow windows, doors and room proportions. When adding elements to a Victorian home, be sure new elements will also have strongly vertical proportions. 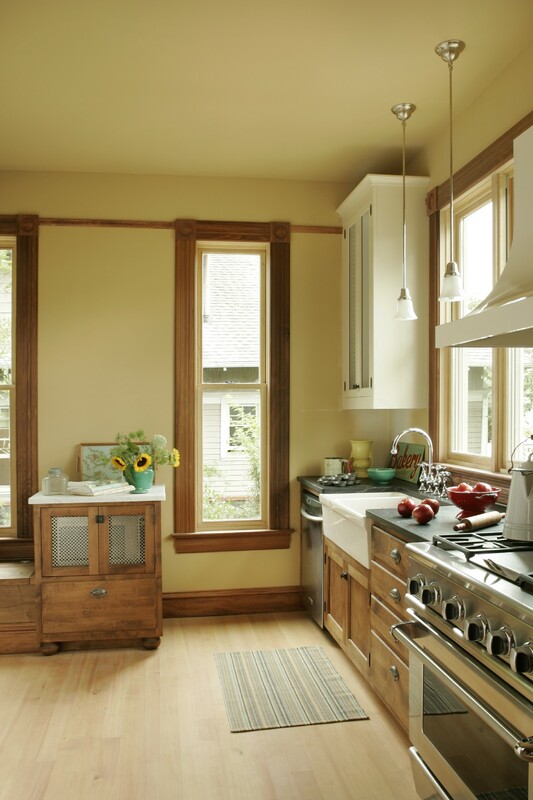 This might mean adding a transom window over a door to make it appear taller, or clerestory windows over double hung windows to give them the illusion of more height. Tall narrow french doors with a transom overhead honor the vertical proportions of this Queen Anne Victorian home in Forest Park. 2. Ornament with Abandon. 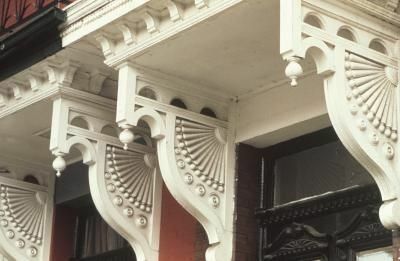 When it comes to the ornamentation features of a Victorian exterior (like gingerbread details and fretwork) the temptation may be to use delicately intricate elements that are pre-manufactured and designed for smaller spaces. A Victorian exterior will need gingerbread that is scaled up to fit the proportions of the house. Bold use of color is encouraged, but should be carefully planned to ensure that the repeating patterns and rhythms of the home’s ornamentation are reinforced rather than confused. 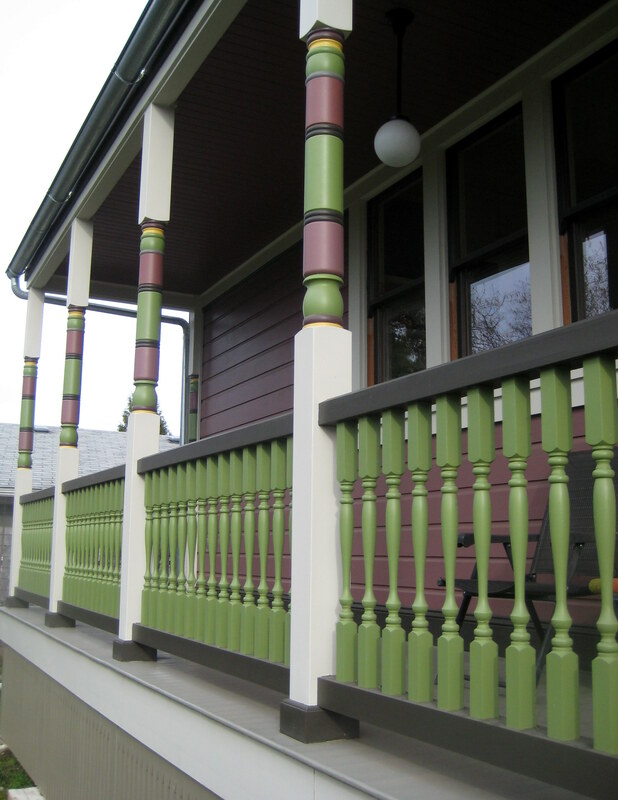 This porch addition on a Victorian in the Abernethy neighborhood incorporated bold colors and intricate turned details on the balusters and columns. Even the crawl space covering was ornamented to coordinate with the homes boldly detailed exterior. 3. Adding Out is Easier than Adding Down (or Up). Most Victorian homes have challenging, uneven shallow foundations and require significant excavation and foundation repair to support a dormer addition or add living space in the basement. The shallow roof eaves of many Victorians are often also not suitable for dormer additions. If you need to add space, your best bet will be to add an addition to the back or side of the house, depending on where you have the most room. 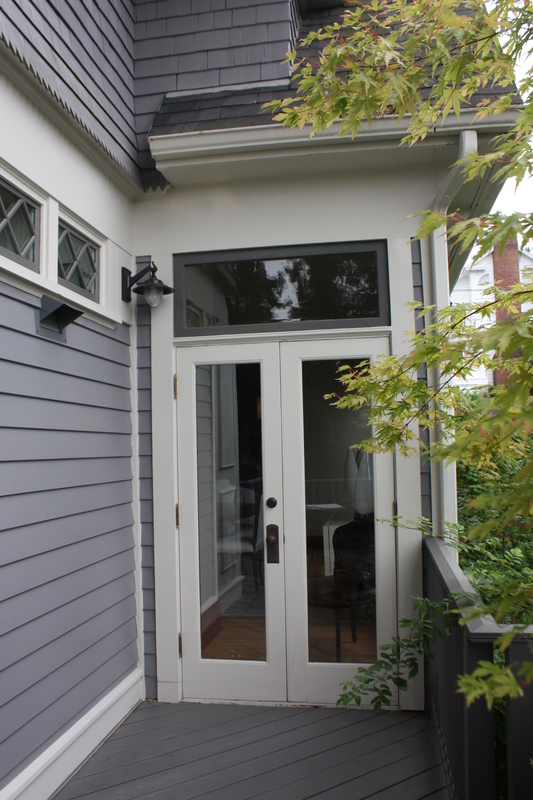 This small mudroom addition to a 1902 Sellwood Victorian incorporates gingerbread detailing, turned balusters, unusual siding shapes and strongly vertical proportions to stay in keeping with the Victorian architecture on the rest of the home. 4. Be Selective about Salvage. Salvage windows, doors and gingerbread details can be a great way to add authenticity to your Victorian home. Just be sure to measure carefully before you purchase anything- a gorgeous door that doesn’t fit the existing entry opening will be a waste and a frustration. Also pay careful attention to the condition of salvage materials. Areas that have rot will need to be planed or trimmed, and that may impact the final dimensions of the salvage piece you intend to use. 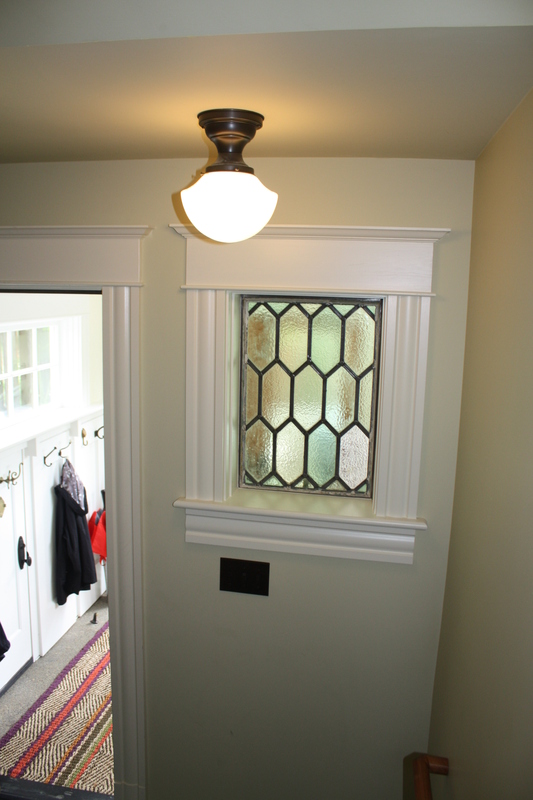 This beautiful salvage leaded glass window adds Victorian charm to the mudroom entrance of this home. A new frame and casing with intricate Victorian details were built to tie the window to the other architectural elements of the addition. 5. Use Artful Illusion to Incorporate Current Code and Contemporary Convenience. Building codes have changed dramatically since the Victorian era and many of the safety improvements have a noticeable impact on the proportions and look of new elements. 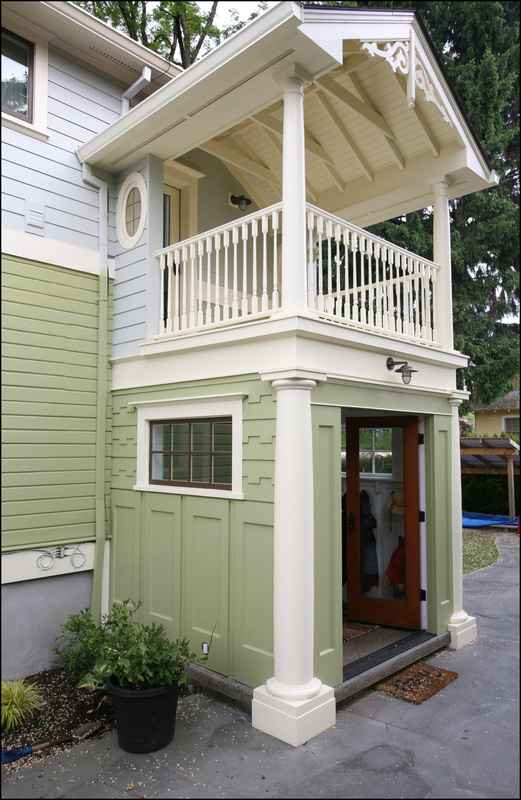 For example, replacing a porch railing may necessitate putting in a taller railing than would have been there originally, marring the proportions of the space. A new railing may need to be designed with a more substantial lower section that draws the eye away from the new taller segments. This Victorian suffered a house fire and needed replacement windows in the kitchen. Narrow double hung windows and ornate casings preserved the Victorian look while insulated glass, solar panels and hydronic radiant floor heat added contemporary energy performance and convenience. Adding insulated glass to a traditional Victorian double hung window can add considerably to its weight- and trigger the need for additional weights in the window pockets. Your designer can help you identify when it will be better to keep an existing window and add historically appropriate storm windows vs. when you will be best served by replacing a rotting window with a new insulated glass window that matches the wood casing details and profiles of the original. 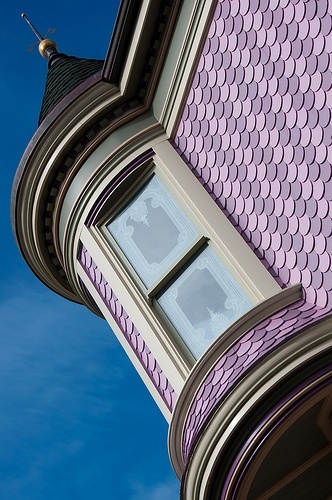 With care, research and thoughtful updates, your Victorian home can be the prettiest painted lady on the block. 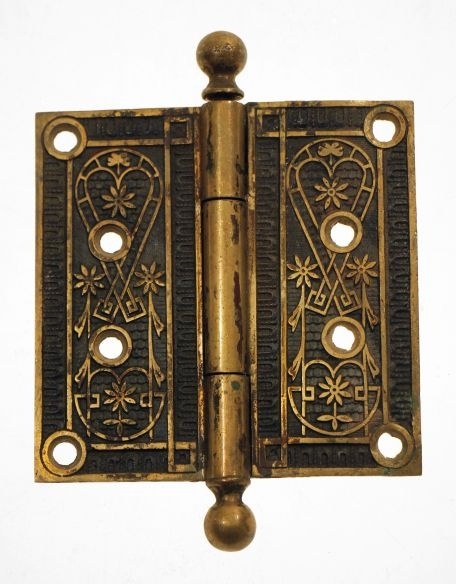 Explore more Victorian design details on our Pinterest board here. Next Up: Capturing the Essence of Your Colonial Revival.